With all of these natural disasters going on throughout the world, I figured it was time to do a checklist for what is needed during a natural disaster. I hope that none of you are in the path of a storm, but if you are this checklist will make sure that you are prepared for the unexpected. Batteries are recommended if you’re going to be using flashlights if your power is knocked out. The last thing you want to happen during a natural disaster is for your power to go out and then find that you have no source of light with children in the home. Stock up on batteries ahead of time by purchasing in bulk from Dollar General or Amazon. If candles are your preferred method of keeping a source of light during power outages, make sure you have some on hand in advance. For example, if you have candle décor hanging on the wall or sitting on your table make sure that you purchase about a 100 pack of tea lights so during the night you can have light. If you have small children or pets, I would recommend using battery operated candles to avoid any unnecessary accidents. If you live in an area that is known to be without power for days or weeks once it is knocked out, it’s a good idea to go for candles that can last for 500 hours or so. Once the storm starts you never know when it’s going to end. Therefore, it’s always a good idea to have a couple of cases of water before it starts. This way you will have a beverage available to stay hydrated with. As a rule of thumb, you should aim to have at least one gallon of water per person/pet available. If you don’t have a portable phone charger available yet, it’s a good time to invest in one. If the power goes out you want to make sure that you can keep a charge on your phone. This will allow you to stay in the loop about what is going on and reach out to emergency help if a situation were to arise where you would need it. While this is a small investment to make, once the storm is over, you can continue using the gadget as part of your everyday life. I would recommend that you have at least 3-4 days’ worth of food that doesn’t require cooking. If your power goes out, you won’t be able to use your stove if it’s electric and your family is still going to need to eat. When a natural disaster strikes you never know what you may end up needing or what could happen. So, before the storm hits make sure that your first aid kit is fully stocked. Sometimes natural disasters, such as hurricanes and tornados can take a turn for the worst and your city will do an emergency evacuation. The goal when this happens is to be able to leave immediately to avoid being stuck. Think of it as you’re not doing to have time to pack. You’ll just have time to use the restroom, get your shoes on and go. 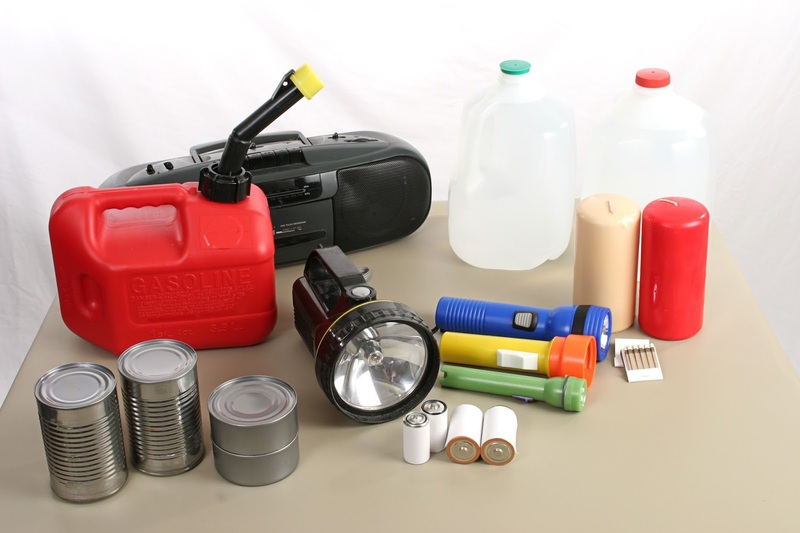 Being prepared is very important when a natural disaster strikes. Sometimes you may be aware that something is about to come your way so you can be expecting it while other times it pops up unexpectedly. By making sure that you already have majority of these items on hand, you will be ready. Yes, so true, better to be safe than sorry!